I recently visited Scorch Grillhouse and Wine Bar, on 137th and Biscayne Blvd in North Miami. The owner and staff are as nice as they come. I explained my gluten issues and was accommodated to the tee. We sat outisde, and thankfully, were oblivious to the biscayne traffic going by. To be honest, the menu does have many tempting non gluten free items, so make sure you bring monster will power with you. 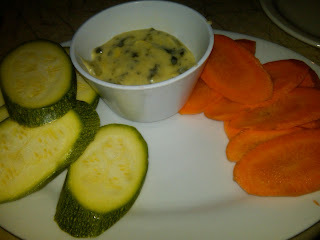 As for the starters, I'm a huge spinach and artichoke dip lover, and was really happen when I was told its made fresh and gluten free! Unfortunately, the chips are not gluten free (they are not in a dedicated fryer) - but, to show you how accommodating they are, they provided me with veges to dip (very similar to accommodations made at Yard House). 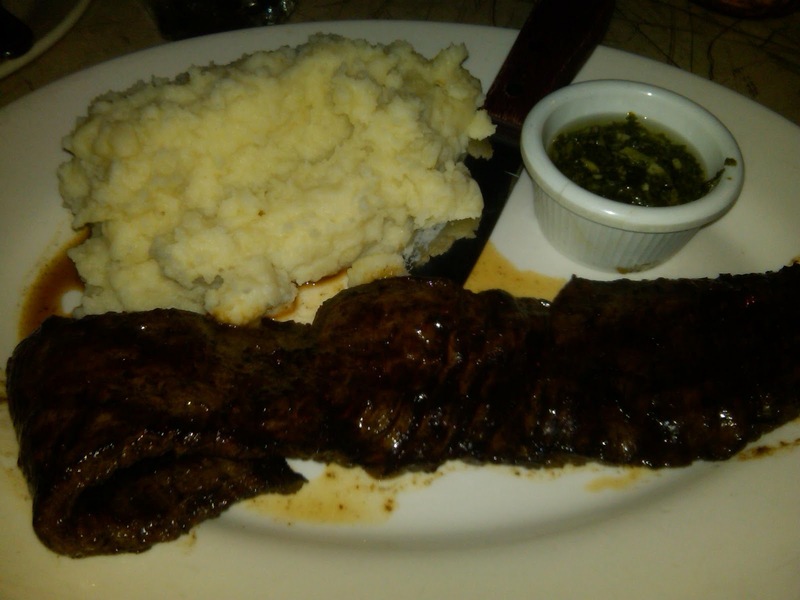 Next, I had the churrasco with mashed potatoes. I have to say, I was disappointed. The mashed potatoes were nothing to write home about, and neither was the steak. It was just ok, not as memorable as I would have hoped - being such a meat lover. It would not be something I'd order again. Perhaps a burger is a better option. All in all, the accommodation is A+, the food is a B-. Would I return, sure. Would I get the dip again, absolutely. The churrasco - not a chance. So, its a THUMBS UP for gluten free accommodation, and a Thumbs Sideways for the food I've tried. Five Guys Fries, Oh My! Gluten Free Cereal! Breakfast is Back!